Apple announced that more than 100 new and redesigned emoji will be available when iOS 10 launches this fall. Apple announced that more than 100 new and redesigned emoji will be available when iOS 10 launches this fall. 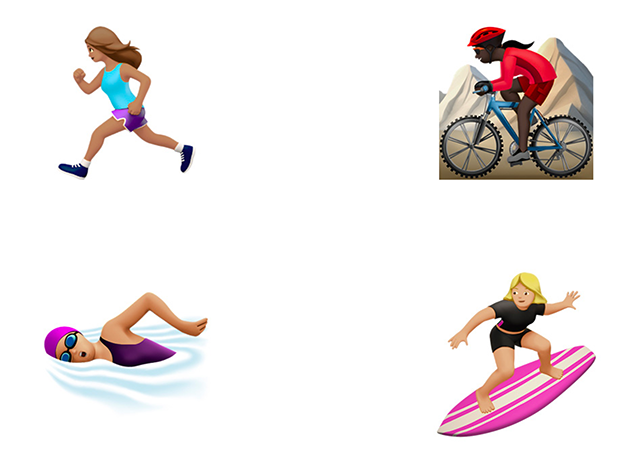 Many of the new emoji feature female characters, including athletes like runners and cyclists, and female professionals, like construction workers. Finally, CNN Money reported that the update will replace the pistol emoji with a water gun emoji. After iOS 10 is released later this year, emoji will appear as larger symbols when sent as stand-alone messages in the Messages app. In addition, users will be able to automatically replace “supported words” with emoji in Messages. Interested users can sign up to join the public beta of iOS 10 here. Readers: What do you think of these new emoji?